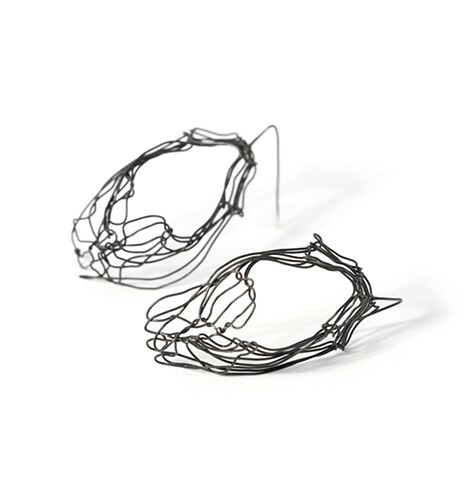 This nest earring is lightweight and striking in its organic but strong line design. The oxidized silver ear wire allows it to sway when you do. Nest part is sealed with Reniassance wax to protect it from the elements. Birds may steel gawk.